After exchanging vows at the wedding ceremony, many couples jump-start their married lives by moving in together. 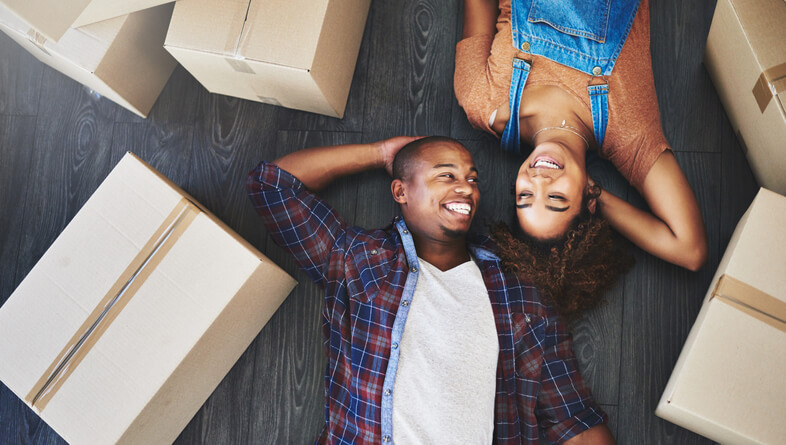 For newly-weds in Gainesville, moving is a process that requires many of the skills that being married does, including good communication, problem-solving, and, of course, compromise. And, as is the case with any relocation, a little bit of planning can go a long way toward making moving easy and stress-free. So, in preparation for your post-wedding move, consider moving tips for newly-weds. Our Gainesville movers know that there can be an extra step to the moving process for newly-weds. A standard residential move involves moving the contents of one household to a new location, but a married couple must combine the contents of two households, either because one spouse is moving in with the other or both spouses are moving into a new home together. There are a few steps newly-weds can take to address the challenge of consolidating their homes. As a remedy for homeowners who are overwhelmed by the number of possessions in their homes, movers in Gainesville suggest downsizing. But downsizing is also an apt solution for newly-weds who must consolidate their homes. To begin downsizing, couples should take an inventory of the property each owns and look for duplicate items of which one can be sold or donated. Eliminating duplicates not only allows you to move fewer items, but it can make the unpacking and organizing process much easier. Decisions should also be made about which spouse’s household decorations are the most fitting décor for the design theme in the new home. It’s also possible to mix-and-match items, such as combining the furniture from one spouse’s home with the wall hangings and lighting fixtures from the other spouse’s home. People can develop personal connections with the items in their homes. If tensions arise while downsizing, one solution is to place the effects that are under contention into storage until after the move when decisions can be made with more deliberation. Ideally, moving company services should be arranged several months in advance of the actual moving day. Scheduling movers early ensures the moving company will have team members available and allows the people who are moving plenty of time to downsize, pack, and make other preparations. Newly-weds who are both moving to a new home may also need to schedule two sets of movers to move the contents of each spouse’s home. Gainesville Moving is a full-service moving company serving the greater Gainesville area. The residential moving services we offer are suitable for households of all sizes, from large family homes to smaller homes of newly married couples who are moving in together. What makes our company adaptable to any moving job is the fact that our movers are extensively trained in how to complete all aspects of moving jobs, from proper packing techniques to safe transportation. We also offer storage options for people who need short-term storage while downsizing or moving.